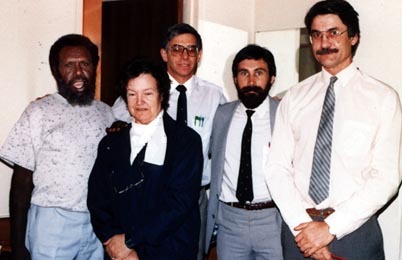 L-R: Eddie Mabo, Barbara Hocking, Ron Castan, Greg Mc Intyre, Bryan Keon-Cohen. Taken during the Qld.Supreme Court hearings 1985-86. Still:Courtesy Barbara Hocking.